Ako Dachs: from Takarazuka to New York City « Asian Culture Goes Pop! Ako Dachs had one hell of a journey for her acting career. Born in Tokyo, she enrolled in the Takarazuka Music School in Hyogo Prefecture at the age of fifteen. Lucky for her, an American Broadway director, Ganze de Lappe, was on hand for the Takarazuka production of Rogers & Hammerstein’s, Oklahoma. Dachs auditioned for the show and had earned a role for herself at a young age. She went on to other Takarazuka productions such as West Side Story. Besides American musicals, Dachs also performed in traditonal Japanese Kabuki productions within the Takarazuka Revue. It certainly helped, since she went through Kabuki dance training since the age of nine. A typical day in the Takarauka Revue is doing two to sometimes even four shows per day. This grueling schedule helped her career in the long run. After seven years with the troupe, Dachs went on to do theater and television work in Japan. However, her love of American Musicals have always remained true in her heart. She took the biggest gamble in her career by relocating to New York City. Like all newly arrived immigrants, Dachs had to look for a job to make ends meet. She worked at a Japanese restaurant for a few years. The owners were more than kind enough to sponsor her for her Green Card. She went on to take acting and English classes. Since the climate in New York City is drier and colder compared to Tokyo, Dachs had lost her voice for a short period of time, due to the climate and nervousness in conversing in English. Like most newly arrived immigrants, conversing in English becomes a test for nerves. Another culture shock experience she had to overcome was learning how to say, “NO”. Women were taught not to say “No” within their culture. A woman say respond with “Maybe”, or “Probably”, but outright saying “No” was out of the question. Dachs finally learned to verbally stand up for herself and overcame her other handicaps. She went on to auditions and she got her first break with the New York State Empire Theatre group in Albany. She received a standing ovation for first performance Stateside. From then on Dachs went on to work in theatre and television shows such as 30 Rock, All My Children and As The World Turns. 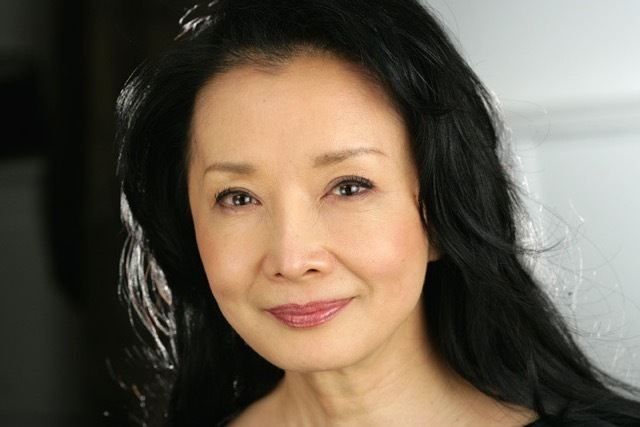 She is also an artist committee member of the Pan Asian Repertory Theatre group in which she participated in stage productions such as Sayonara: The Musical. Dachs also voiced her concerns with the recent lack of diversity representation in Hollywood. She acknowledged the efforts of fellow Japanese-American actor, George Takei, in bring this issue to the spotlight. It is important for Asian writers to continue writing the narrative of Asians and bringing their stories for everyone. She need not worry, for she is among the many who had already paved the way for Asian representation within the American cultural landscape. With Takarazuka’s debut performance at Lincoln Center this summer, it has come full circle.